Do you want to reduce expensive non-productive times without installing additional automation? Thanks to pendulum operation, the PBZ SC creates two spatially separate workzones and thus permits loading and unloading parallel to machining. stable machine construction guarantees high machining accuracy and quality with interference-free 6-side machining. 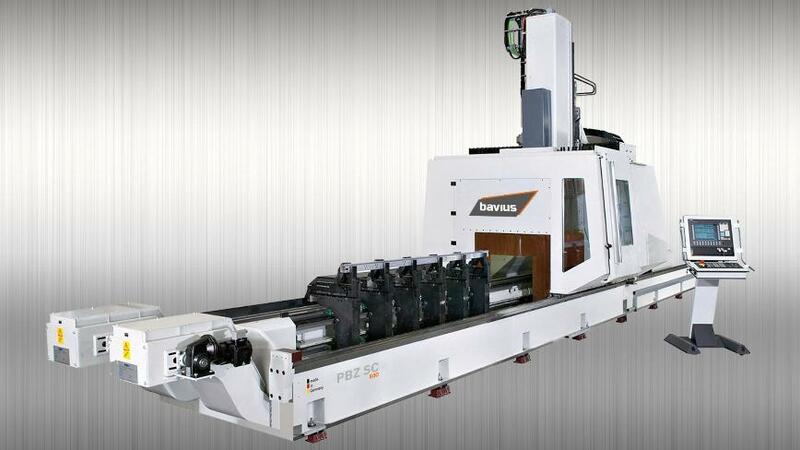 The PBZ SC profile machining center is not just configurable for customer-specific length requirements. With a wide range of options the PBZ SC can also be adapted to individual applications and material requirements. The machine concept also allows the choice between clamping vice and table versions.